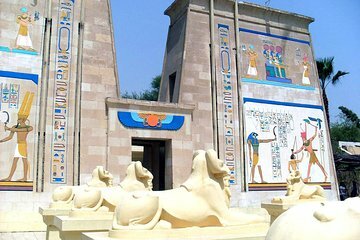 On this specialty day trip, you’ll watch the days of Egypt’s once-mighty pharaohs come to life. Visit a village where teams of actors reenact detailed scenes from ancient Egypt, covering everything from the dishes people ate to the gods they worshipped. Highlights include interiors of reconstructed homes, a model of Tutankhamon’s tomb as it was first discovered in 1922, and four different on-site museums.